Small Saint Leo University, located about 30 miles from Tampa Bay, FL, offers a liberal arts-based curriculum and a notable Catholic Benedictine heritage. For fun here, students can make an hour drive to the beach, relax by the outdoor heated pool, or spend an evening at the Nightly Grind coffee bar. Describe the type of student who should not attend Saint Leo University and explain why. Those who are in it because they are forced by their parents where their interest lies in partying or skipping class. Describe the type of student who should attend Saint Leo University. Why? Serious, resourceful and hard working. These are the qualitites that will persevere a rigorous academia training. What is a typical Saint Leo University student like? Describe the type of person that should attend Saint Leo University. A person that should attend Saint Leo University is someone who is driven to expand their education. A typical student chooses to either study online or on the campus. Lastly, a student strong in their catholic faith. What are the top 3 reasons someone should attend Saint Leo University? Core Values- Excellence, Community, Respect, Personal Development, Responsible Stewartship and Integrity are incorporated into every aspect of your learning experience. 2. Small Class sizes 3. Family environment. What was a typical Saint Leo University student like in high school? Describe the type of person that should attend Saint Leo University. Of all the universities in Florida, Saint Leo has been named one of the best regional colleges in the South, according to U.S. News & World Report. As the state's first Catholic institution of higher learning, we offer over 41 academic programs that meet the academic, spiritual, and professional goals of more than 15,000 traditional campus and adult continuing education students. More than 1,000 students live and study on our main campus in Saint Leo, nestled in the rolling hills of west central Florida just 30 minutes north of Tampa. Our students receive personalized attention in classes since these tend to be small - 18 students on average. They can choose from more than 40 undergraduate majors and specializations. Saint Leo University also offers graduate degrees in business administration, education, teaching, criminal justice, and theology. Students who work full-time or have personal responsibilities that prevent them from attending weekday classes can attend classes on our main campus through our convenient Weekend and Evening Program. Another 13,000 students pursue associate's and bachelor's degrees at our 17 Continuing Education centers in seven states and through the Center for Online Learning. Throughout our history, Saint Leo has provided a solid liberal arts education grounded and based on the 1,500-year-old tradition of Benedictine values. By reaching out to students both near and far, Saint Leo - one of the top universities in Florida - lives up to its mission to be "a leading Catholic teaching university of international consequence for the twenty-first century." Saint Leo University is a Catholic, liberal arts-based university serving people of all faiths. Rooted in the 1,500-year-old Benedictine tradition, the university seeks balanced growth in mind, body, and spirit for all members of its community. At University Campus, at education centers, and through the Center for Online Learning, Saint Leo University offers a practical, effective model for life and leadership in a challenging world; a model based on a steadfast moral consciousness that recognizes the dignity, value, and gifts of all people. To accomplish its mission, the university community creates a student-centered environment in which the love of learning is of prime importance. Members of the community are expected to examine and express their own values, listen respectfully to and respond to the opinions of others, serve the community in which they live, welcome others into their lives, and care for all of God’s creations. What are the top 3 things that students do for fun at Saint Leo University? Three things that students can do for fun at Saint Leo University are attend Mass, go to a sporting event, or become an active member in a sorority/fraternity. Campus housing is available for undergraduates. Housing deposit : $500.00. Housing deposit due : Aug 15. Housing deposit is not refunded if student does not enroll.. Freshman allowed to have car. No pets. The average student pays $17,624 for tuition, fees, and other expenses, after grants and scholarships. Total stated tuition is $19,240, in-state and on-campus, before financial aid. Learn more about financial aid at http://www.saintleo.edu/financial-aid. Estimate the net price for you at http://uts.saintleo.edu/stusvcs/aid. The typical (median) early career salary of Saint Leo University graduates is $41,500, according to Payscale. Saint Leo University participates in the NCAA Division II for college athletics. 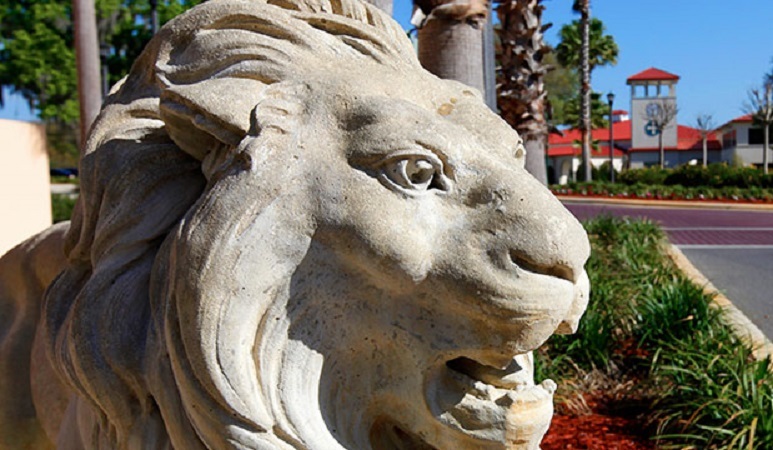 Want more info about Saint Leo University? Get free advice from education experts and Noodle community members. What are the top campus traditions at Saint Leo University?